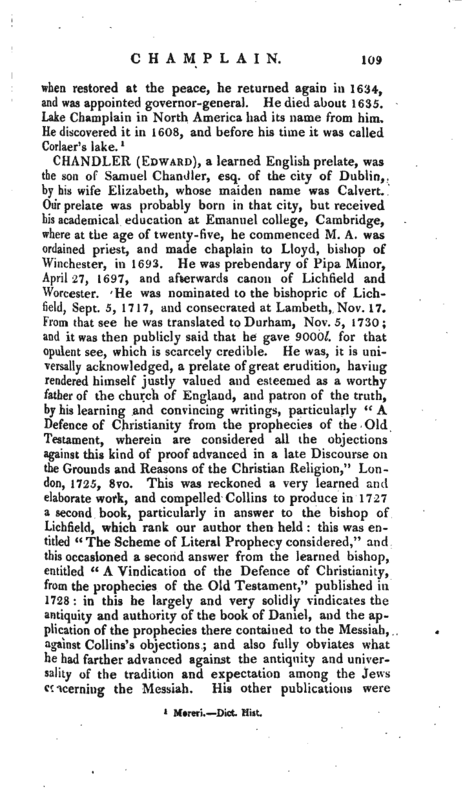 Shaw’s Hist, of Staffordshire.---Hutchinson’s Durham.—Leland’s View of Deistical Writers.—Gent. Mag. vol. LXIII. 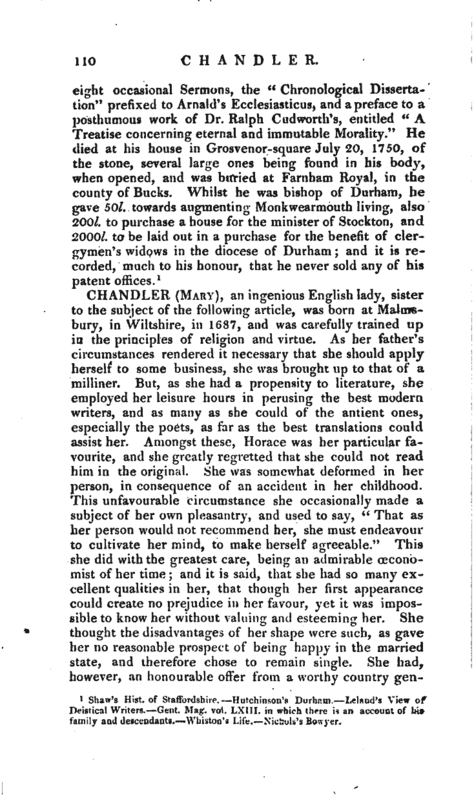 in which there is an account of his family and descendants.—Whiston’s Life.—Nichols’s Bowycr.